It’s a rough morning. You feel sick after a restless night. You’re coughing up phlegm. You feel dizzy and vaguely nauseous. It’s time to go see your doctor, you decide. You call in sick to the office. At the doctor’s office, one of the first things the staff is going to do is take your temperature. They’re also going to take a reading of your blood pressure, your pulse, approximate how many times you’re breathing per minute and ask you about any pain you’re feeling. They’re getting statistics on your condition. They’re going to compare those statistics to what science knows about what’s normal and what’s not. Altogether, these actions and the numbers they generate are what’s known as the “vital signs.” They’re important because they’re a measure of your health. The one exception is when the nurse asks you to rate your pain on a scale of one to ten. That’s a subjective number. Besides vital signs, blood tests are also used to quantify if your body is behaving normally or not. Mechanics have tire wear indicators and automotive emission calculators. Economists have their indicators. Marketers have their sales figures. Many objects and phenomena come with these numbers. One big thing that could use an objective set of numbers and doesn’t have them are emotions. Feelings build up and fester. You act out in one way or another. There is one process that can help you. Your dreams and your journal can give you indicators as to the “temperature” of your life. With no attempt to control your subconscious, this makes the dreams you have as objective of a sign as you’re going to get. First, you need to write these dreams in your dream journal. That’s why the Dream Recovery System recommends that you wear a band to bed to help you do this. If you don’t write it down you’re going to forget it. To use your dreams as a kind of thermometer, you’re going to need to pay attention to the bland, boring dreams you’ve written. The dreams where you’re in a meeting. The dreams where you’re waiting for someone. The dreams where you’re looking for your keys. Nightmares will get your attention. Happy dreams will be a pleasure to revel in. The dull ones are easy to overlook. Dave had a dream where he was standing on a golf course. That’s it. He had his clubs. He was ready to play. That’s all that happened. He never played. He used the PACTREPS acronym to uncover the details he could about the dream. There are no animals. No other people. No journey. The weather was neither too hot nor too cold. No emotion about the golf course. Nothing. Dull dreams will be like this. You’ll find yourself present in a scene and nothing will happen. Sometimes you’ll be waiting for something, sometimes not. Before you dismiss this dream as unimportant, one of the key questions is to ask is why. Why did you have this dream? Why now? Dave should ask what the golf course means to him. 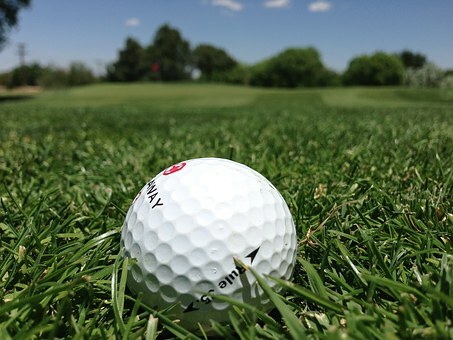 For many occasional and semi-serious golfers, it might mean a break, relaxation, and fun. If Dave thinks a golf course is a place that represents fun to him, he should ask himself if he’s been having any fun lately. Was the day occupied with work, one task after another? Did he not take any time out for a true mental and physical break? The work you’ve been occupied with the previous day might have had a good meaning and purpose. That’s not the point. Day after day of doing what you see as drudgery will have you snapping and behaving dysfunctionally. Life is meant to be a balance of fun and work, good times and bad. Maybe you don’t need to go to the golf course. Maybe do something else you enjoy. Maybe you need to assure yourself you’re enjoying your life. Maybe tell yourself standing on a golf course in a dream was enough fun. Whatever you strategize, you’ll find dreams are an emotional vital sign. It’s tempting to disregard the power of this kind of dream. Many people have. Yet, if you do, you could be missing out on all of the power of dream journaling. You can keep yourself emotionally healthy by heeding your dreams and asking yourself the “why” for them on a regular basis. Taking your emotional temperature on a regular basis can help you live your best life possible. Yet another reason to record your dreams in a dream journal or dream diary. The dreams where you’re waiting can sometimes be interpreted as being expressive of the in-between times. Maybe you’re dutifully plugging away on a project that isn’t done yet. Maybe you’ve got a big presentation coming up days away. In life, not everything happens or changes overnight. On the other hand, maybe it’s a call to action. Maybe your subconscious is prodding you to make something happen. It’s not content with waiting. A dream journal as a self-diagnostic tool is best used with feedback from other sources in a spirit of calm reflection. Used well, it can help you maintain your mental health. Have you ever taken the temperature of your emotions with the dreams in your dream journal? Be sure to comment below.